Unquestionably, brass is back. Any piece of brass furniture, lighting, or decor can add visual interest and tons of personality to your living space. Brass has re-emerged as chic design gold. Whether minimal and perfectly modern or used to introduce a distinctive vintage vibe, brass pieces are usually eye-grabbing décor elements. Note that many of today’s popular “brass” pieces are crafted from another metal but finished with a brassy hue. 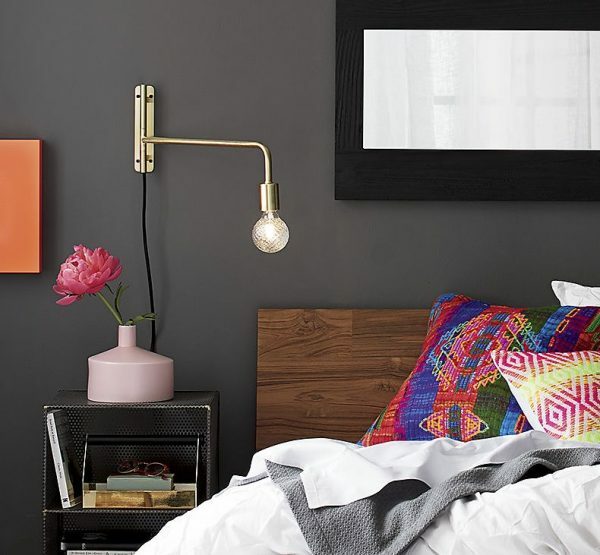 Whether planters, candelabras, table lamps, pendants, or side tables, there is an array of ways to incorporate brass in any living space. 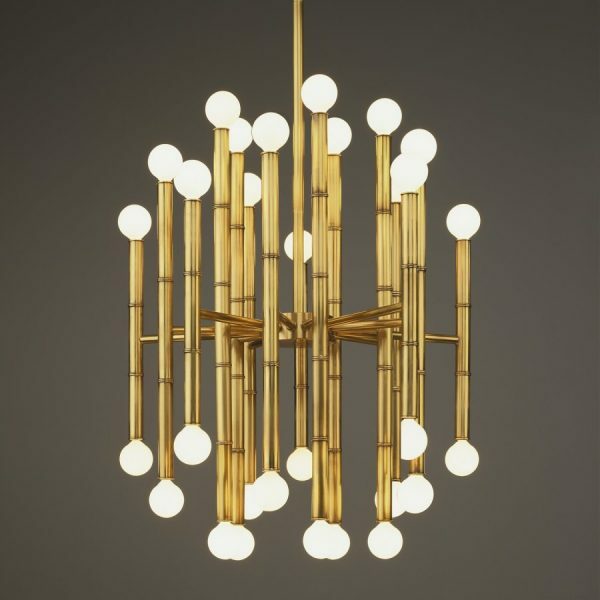 In addition, brass looks good in any shape – from geometric to curvy and organic designs with intricate details. You are in doubt? Then, start small! Add brass décor pieces in small doses. If you like the effect of a brass tray has on the look of your coffee table, you can go on with other brass décor items. 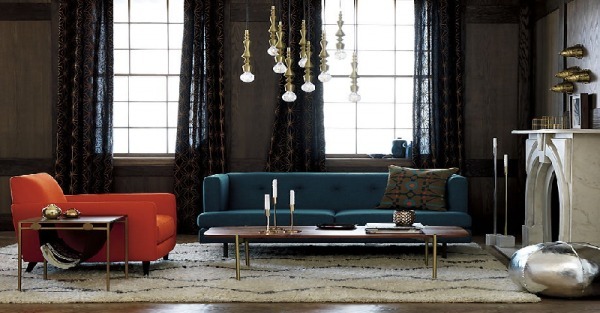 Brass furniture (including upholstered furniture with brass accents) can lend a sleek modern look to your home. 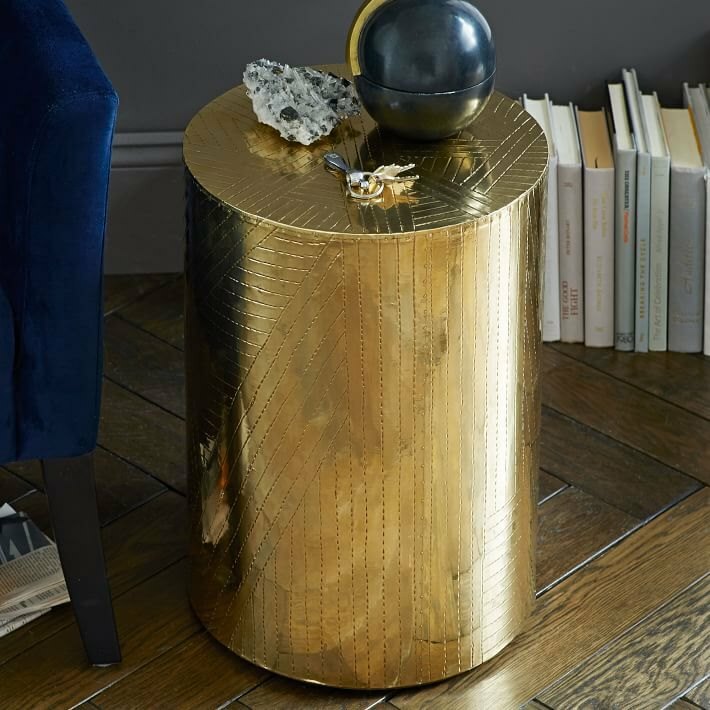 Look at the above-shown gorgeous drum-style side table, which is textured with an etched geometric pattern . 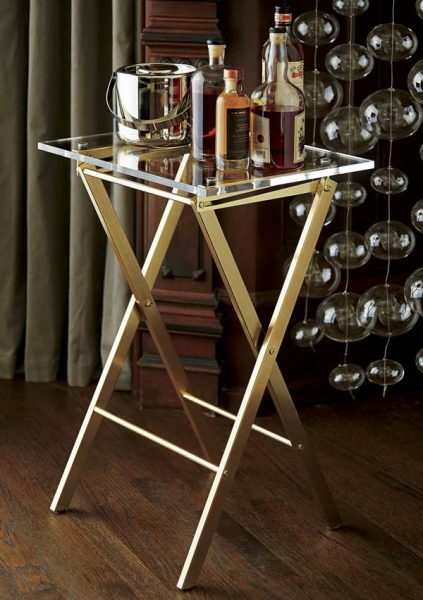 This truly stunning piece of furniture can be used as an end table, a nightstand, a dining tray, and more! Retro-modern lighting in brass is hard to resist. Look at the stunning chandelier in the picture above. Furthermore, thanks to a swiveling mechanism, light can be positioned right where you need it most. 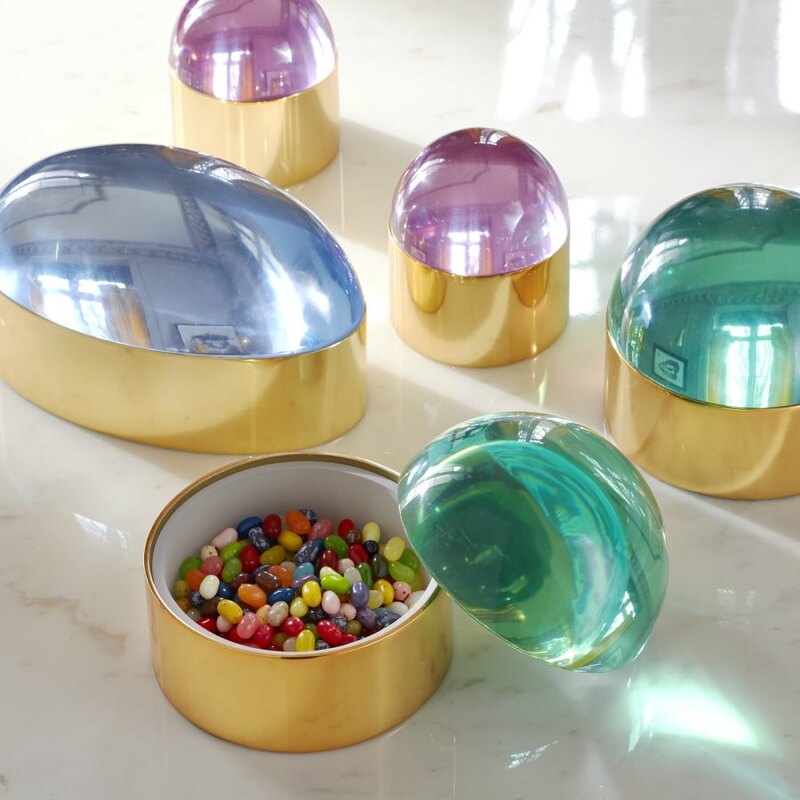 Whether introduced as modern art, planters and magazines holders, desk accessories, and even toilet paper holders, combined with different materials/from leather to wood to glass/, brass creates sculptural, functional statements that reflect light and add shine, interest, and personality to the space. Do you like brass décor items? 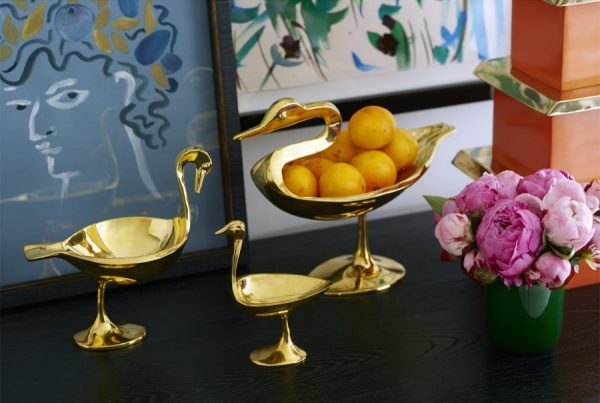 If you do, are you ready to incorporate any brass item in your living space?